Best Insurance Cover For Your Home Loan: A home is a place where dreams are built, memories are treasured and relationships are reinforced. Buying and owning a dream home is an aspiration all of us have and it is one of the most important financial decisions you will need to make. Most Indians who decide to buy a home opt for a Home Loan. A Home Loan is one of the longest debts in your life, which requires a long-term commitment. You owe money to the lender and this increases your risk profile. A Home Loan insurance plan mitigates this risk. Your Home Loan needs to be paid off to the lender in the form of Equated Monthly Instalments (EMI) over the tenure of the loan. This liability needs to be repaid to the lender, irrespective of whether you are alive or not. In case of your untimely death during the term of the loan, your family members will need to repay the loan. Home Loan insurance ensures that the insurance company pays off the outstanding loan amount in the eventuality of your death, thus protecting your family members from the burden of repaying the Home Loan. The working of a Home Loan insurance is similar to a Term Life Insurance policy. The differentiating factor between the two insurance policies is that in the case of a Home Loan insurance, the sum assured is not a fixed sum, but will be equal to the outstanding home loan amount. In other words, the insurance cover available under a Home Loan insurance policy keeps reducing with the payment of EMIs, which reduces the outstanding loan amount. In some cases (for example, the Home Safe Plus scheme of ICICI Bank), the cover available is on a flat basis instead of a reducing basis. In this case, a fixed amount is paid out to the beneficiary irrespective of the outstanding loan amount. Age of the borrower- Premium increases with age of the borrower. Usually, insurance companies insist on medical tests beyond 40 years. Below this, a simple declaration is sufficient. Amount and tenure of the Home Loan- Premium increases with the duration of the loan and amount. Even for the same insurance cover, a higher term will result in a higher premium. Borrower’s medical record- If the borrower is in good health, premium will be at regular rates. For example, if you have had a heart attack in the past, the premium you will need to pay will be higher than a borrower with no past incidents. Insurance companies generally insist on a one-time payment of the premium. However, in most cases where insurance is taken from the company with which the Home Loan lender has a tie-up, the premium amount is bundled with the loan and included in the EMI amount. For example, if the Home Loan is for Rs. 20 lakhs and the insurance premium is for Rs. 2 lakhs, the lender pays the entire premium amount to the insurance company upfront. The new loan amount will now be Rs. 22 lakhs, which will be spread out as EMIs over the tenure. So in effect, you will be paying interest on the Rs.2 lakhs premium amount also. 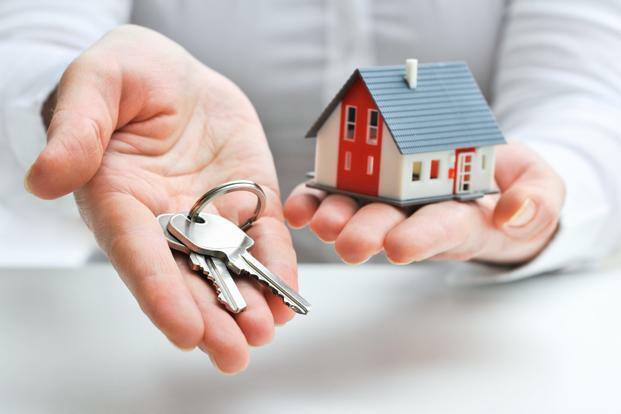 Home Loan insurance policies are taken in the name of the borrower of the Home Loan. In the case of death of the borrower, the onus lies on the family members to file and obtain the claim amount. If the claim is passed, the amount is directly paid to the lender or to the family member beneficiary. As in the case of all term insurance policies, in case the borrower is alive beyond the term of the policy, he does not get back the premium paid. It is not compulsory to take a Home Loan insurance policy from the lender/group company of the lender. Usually, Home Loan lenders tie-up with insurance companies and recommend borrowers to secure the policy from them. But as a borrower, you can secure a Home Loan insurance from any company. You can either avail the policy along with the Home Loan or at a later date. Though it is not mandatory to have an insurance policy to cover your Home Loan, it is highly recommended to have one to reduce the burden on your family. It is always better to scout the market, do a thorough research and compare policies from different companies before deciding which insurance policy to purchase.